Uncategories Tutorial :Can you write a single FetchXML query to get 1:many relationship? Tutorial :Can you write a single FetchXML query to get 1:many relationship? Is it possible to write a single FetchXML query that gets a root entity and multiple children? All I've been able to do is 1:1. James Wood is correct. Fetch XML is recursive so by using the link entity you can get the information you want. Unless I've misunderstood the question this is very possible. So for example you want to find all the contacts related to a given account. 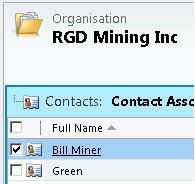 This is represented in Crm by the Parent Customer Lookup on the contact to the account. I'm happy to report that it is possible. I have a solution that worked well for me. This means that you would then have to run the results through a sorting function, to get either all the children under parents in a multi dimensional array, or get all the accounts as unique entries in a flat array. Also, this only goes down one level. If your hierarchy is multi-level, this code would need to be modified.